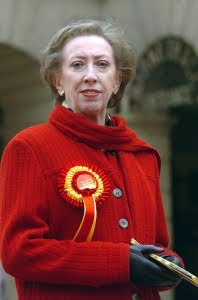 By the time the Speaker’s election came round last year Margaret Beckett was already miffed with Downing Street after she was sacked on reshuffle day without being given a reason why by the PM. Rumours ran rife that Beckett’s subsequent candidacy in the Speaker’s election was encouraged and supported by Number 10 – out of a desire to put an establishment figure in the chair, but also as a sweetener for pushing her out of the cabinet. The story, refuted by Beckett, was that after the whips went round asking Labour MPs to support her, there was a backlash and her campaign flopped. But LD discovered that her new job, as the chair of an influential national security committee, was offered to her shortly after the failed Speaker’s election bid. It feels as though the speed at which the position was offered supports the involvement of Number 10 in the Speakership bid. Certainly Beckett’s undying support for Brown would also suggest so.